Konami Holdings Corporation is a Japanese gaming and entertainment company established in 1969. This multidimensional company develops video games as well as produces and distributes slot machines, anime, trading cards, and much more. A major player in the entertainment and video gaming industry, Konami has annual revenues of approximately ¥230.00 billion which is roughly $2 billion. 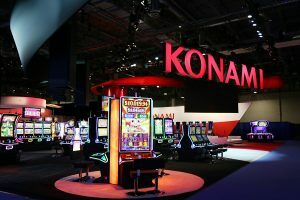 As an international holding company, Konami has many subsidiaries throughout the world and has a global reach in the entertainment industry. In Japan, where its headquarters are located, there is the Konami Holdings Corporation. They own or have a stake in approximately 15 businesses throughout Japan. Other locations in Asia include Hong Kong, Singapore, South Korea and Shanghai. Although not as much of a presence as in Asia, Konami does have businesses in Europe, America and Australia. In the U.S. they are located in Paradise, Nevada which is right next to Las Vegas. Obviously, a strategic location for one of the world’s largest gaming markets. An impressive list no doubt with a large footprint in the gaming market. The arcade gaming industry took a dive many years ago and was replaced by the likes of PlayStation, Xbox, Wii, and many others. Then with the advent of personal computers and the increase in technology, you no longer needed these gaming consuls to enjoy a vast amount of games. Many of these are still popular, but online casino games have taken a chunk of the business. Games that were relegated to land-based casinos, are now available online for anyone to play in both free and real money mode. One of Konami’s offerings are slot apps for your mobile and tablet devices. “my KONAMI Slots” app brings the enjoyment of many Konami slots, right to your fingertips for on the go play. Just one download gives you the option to play many games and the option to win Loyalty Points which can earn you a stay at a Las Vegas Hotel, Restaurants and Shows. Some of the games on the app are slots which you will be familiar with from playing on the land-based casino floor. 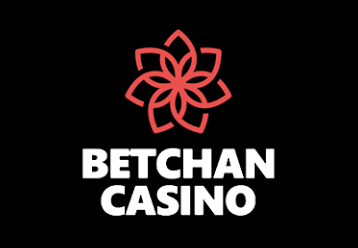 Progressive Jackpots, Bonuses, Daily Events for Bonus Chips, and Free Spins are just some of the rewards on offer. “my KONAMI Slots” no deposit casino gives you the option to earn some of the app’s biggest rewards. From the list nothing really stands out except for Rocky. Konami does own the rights for the Rocky slots which is a very lucrative game. Although not the draw that Rocky is, the other Konami online pokies do offer a lot of actions. Free games are one of the most common features as well as the Progressive Jackpots. Although free to play, any Konami pokie with a progressive jackpot can only be activated in real money mode. Konami is a “jack of all trades” in the gaming industry. Their ascent from jukebox rental and repair company to one of the top gaming companies in the world, speaks volumes for there long-term focus and ability to adapt. This industry had changed in the past 4 decades, and there are many who were not able to keep up. Konami is one of the few that companies that were able to survive the dynamic changes in technology and customer tastes.